The years after 1945 were a time of great discomfort and challenge for Britain as it faced up to an era of inevitable decline in the wake of World War II. While the establishment might try to carry on with an attitude of ‘business as usual’, the shift in the balance of power, which saw the rise of the USA and the USSR as the dominant ‘Super-powers’ in the Cold War, was such that London could no longer dictate terms or set the global agenda as it had done for more than a century. However, managing decline is one of the most difficult and horrifying tasks in many areas, be it sport, business or politics, and despite the obvious difficulties of near bankruptcy and the break-up of the Empire, there was much in the language and culture of the Establishment that still smacked of being a ‘great power’. There was some evidence to support this position, of course, for even though the USA and the USSR were clearly the ones dictating the pace and direction of international affairs, Britain still sat at the top table and was one of the five permanent members of the Security Council of the United Nations. There was still a aura of splendour amidst the relative decay, a glorious history for which the ‘free-world’ could offer thanks with regard to the two world wars if not for every aspect of empire, but the world had changed and Britain was no longer ‘top-dog’. It had become more of a lap-dog for the USA, the ‘special relationship’ proclaiming its role in the new gang which had gathered around, or behind, Washington. The country had changed so that an uncertain future loomed, economically, politically and militarily, putting new threats and demands on politicians and other leaders who had grown up in a different age. No group or class could exclude itself from the enormous social and political changes that swept through Britain in the wake of the World Wars. The structure of life and its accepted core values were shaken by the turmoil of the previous decades, so that new ideas and expectations came to the fore. Industrialisation, education, political ideology, the media, the arts and other factors, combined to create a society which was radically different from that which had shaped Britain, for better and for worse, in the years up to 1945. Peace did not bring a simple desire to return to the past, to 1939, as though that were some glorious, halcyon year in which everyone wished to live. The dawn of a new era was announced with Labour’s election victory over Churchill’s tired Conservative Party, a shocking landslide that led to the creation of the ‘Welfare State’. So many ideas and actual changes that marked the ‘post-war consensus’ were introduced under Attlee’s Government, such as the creation of the NHS and changes in the benefit system, higher rates of income tax for the rich, fundamental changes to the education system. For the next three decades and more, there was to be a greater role for the state in most areas of life, a change so clearly expressed in the huge programme of nationalisation that brought coal production, the railways, the Bank of England and, of course, the health service under State control. In 1945, Labour took control of a country which had its most powerful days behind it. The devastating effects of the two world wars and the economic depression, it was clear that, despite any rhetoric to the contrary, there could be no going back to the days of Empire and influence. The world had changed and there were now two new superpowers, the USA and the USSR, on the world stage. Britain had to find a new role as it tried to ensure that a ‘managed decline’ could be achieved without dramas, pain or, indeed, revolution. Much of this was achieved with surprising dignity and control, with events like the break-up of the Empire after India was granted independence in 1947, the hosting of the Olympic Games in London in 1948, the ‘Festival of Britain’ in 1951 and the coronation of Queen Elizabeth II in 1953, showing the country in a positive light despite the many troubles. However, as the years went on, other events shone a light on a country which was struggling to adapt to the post-war changes. One which may sum up the confusion and fragility of the state was the ‘Suez Crisis’ of late October, 1956. It centred on control of the Suez Canal in Egypt, which had been the key link between the Mediterranean and the Red Sea for nearly a century and was especially important to Britain and France, primarily as the shipping route to India, South and East Asia, Australia and New Zealand. The Suez Canal was hailed as a major feat of engineering when it opened on 17th November, 1869. Under the guidance of Ferdinand de Lesseps, in collaboration with the Egyptian authorities and the Emperor Napoleon III, the canal was built over a period of about ten years. Its impact was significant and, although France maintained a majority interest, Britain came to exercise some influence when it bought up Egypt’s share in the project as a result of its external debts. Although it was open to all shipping, the British saw the canal as being especially significant to its position, and through the Anglo-Egyptian Treaty of 1936, it was allowed to maintain a military presence along the ‘Suez Canal Zone’. The changed nature of world affairs and international relations in the post-World War II era saw the decline of the old Imperial powers, in Britain and France, and the rise of national and independence movements in the former colonies. 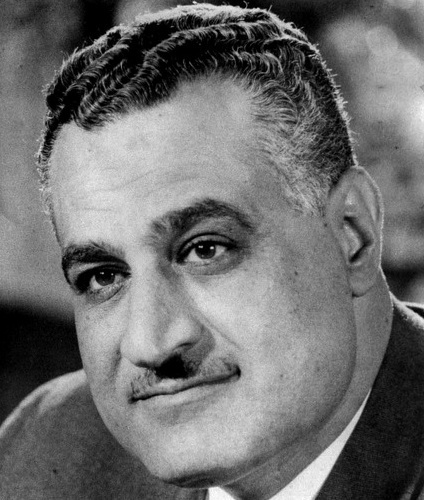 In Egypt, the nationalist movement was led by Gamal Abdel Nasser (1918-1970), and an aspect of this development was a 1954 agreement with Britain which provided for the removal of the military presence over a seven year period. This was the back-drop to what happened in the ‘Suez Crisis’ but there were other factors at work in the 1950s. The late 1940s and early 1950s saw some astonishing changes in the geo-political landscape of the world; indeed few periods in world history can match the post-war decade for the scale of its shift in the balance of power. The USA had established itself as the leader of the western world with incredible speed, just as a family of Communism had been built around the USSR, and reached from the heart of Europe away to the Pacific. The old Empires of Britain and France were in decline, with major developments seen in India receiving independence from Britain in 1947 and France withdrawing from Vietnam in 1954. Across Africa, Asia and South America, nationalist and independence movements were on the rise, making demands on the former colonial powers at a time when they faced significant political change alongside economic and social challenges at home. The world of the early 1950s was far from having the clarity, stability and security that had existed for the ‘Great Powers’ at the opening of the Suez Canal eight decades earlier. The early years of the Cold War saw the establishment of the battle-lines for supremacy between the USA and the USSR. Under the leadership of Harry Truman and Joseph Stalin, the likelihood seemed that a conflict of some kind, triggered by an event such as the Korean War or the Chinese Revolution, might lead to the end of humanity. The Superpowers seemed set on a course of probable destruction due to the logic rooted in meeting force with force; no compromise nor tolerance of the other power seemed possible. The initial period of tension and hostility then received a major jolt in 1953 when Truman came to the end of his term in office and was replaced by General Dwight D. Eisenhower, for the Republicans, and in Moscow, Joseph Stalin died, with Nikita Khrushchev coming to replace him. It is a sign of the relative decline of Britain and France that it was changes in Washington and Moscow that should shape their actions; they had become rather marginal, second-class powers. Fundamental to what happened at Suez was the fall-out from the change in the leadership of the USSR. By 1956, the USA in particular had become rather concerned about the increasingly close relationship which seemed to be developing between Egypt and the USSR. This change was a direct consequence of Khrushchev’s ideas known as ‘Peaceful coexistence’, whereby he wanted to challenge the USA and the West by competing with them directly so as to show the supremacy of the Communist system. In the arts, sport, science and industry, the USSR and its allies would show how its ways and values were stronger than those produced by capitalism and democracy. This ideology would see visits to the West by circuses, orchestras and ballet dancers, intensive competition in the Olympic Games and, of course, the dramas of the Space Race, but it would also see a struggle for influence in what was known as ‘The Third World’, the developing and, largely, non-aligned countries and the colonies that were emerging from Imperial control. In the early years of the Cold War, the USA has established its hegemony, expanding its influence through its economic influence and military deals. Khrushchev believed that American influence was actually very shallow and short-term, rooted in the dollar and the gun, so that if he offered the benefits of Communism to these countries, they would actually choose to ally themselves with Moscow. ‘The Third World’ became a major ideological battlefield where the struggle was fought by engineers, doctors and educators, and it was one in which the USSR had some significant successes as it gained influence in numerous countries, not the least of them being Egypt. Egypt is, of course, an ancient country in a strategically powerful position. At the mouth of the Nile as it enters the Mediterranean, it is forever associated with the Pharaohs and pyramids, but that was long ago. However, as with the influence of the Romans on Italy, there is something of that ancient story which has continued to shape the aspirations of many people in the modern Egypt; past glories are powerful memories, and their influence could be seen just as clearly in the way Britain and France reacted in the post-war period. Egypt had long been a part of the Ottoman Empire but had then come under British control before attaining a level of independence in 1921-22 although, as has been mentioned, British troops remained to oversee communications and to protect European ‘interests’, namely the Suez Canal. There was a growing sense of unrest and a rejection of a certain ‘colonial’ status amongst some sectors of Egyptian society and in 1952, a military coup saw King Farouk removed with, first General Neguib, and later Colonel Gamal Abdel Nasser, in power. Nasser had various goals as leader of Egypt. He wanted to forge a new identity for an ancient country and ensure its security, prosperity and independence from the old European powers. To enable this to happen, he needed more money, the full control of the River Nile and more electricity which could drive economic development. To make this happen, he planned to build the Aswan Dam, a project which would require massive investment from overseas. Initially, the funding and technology for the dam was to have come from the USA but this was withdrawn when it was realised that Egypt was developing closer links with the USSR, an example of ‘Peaceful coexistence’ in action. There was a great concern in Washington that Communism was going to leap into North Africa, a sign of the feared ‘domino effect’ which could see region of vital interests fall under Moscow’s control, and a direct threat to oil production in the Middle East. In retaliation against this withdrawal of promised aid, and as an act of strength and independence, Nasser decided to nationalise the Suez Canal, knowing it would inconvenience and threaten the Western powers, giving him some leverage in future negotiations. When the Egyptian Government announced its intention to nationalise the Suez Canal and take control away from Britain and France, there was great alarm in London and Paris, as well the recently formed Israel, which was in a tense relationship with Egypt and other countries of the region. For western countries, the added cost and uncertainty from having to travel around South Africa to reach India, Australia and the Far East, would have had a huge impact on costs, safety and time. It was also a humiliation that they no longer seemed able to pull the strings in Egypt, a sign which they thought might encourage similar acts of independence and confrontation in other countries and colonies. In what always seemed to be a desperate action, Britain and France, together with Israel, decided to invade Egypt and to take back control of the canal-zone. It was always a risky project but what made it more foolhardy was that they never consulted the USA. In the context of the Cold War, and with NATO being such a key organisation, to act in such a way was simply dangerous, especially if it went wrong – which it did. The ‘Suez Crisis’ happened in late October-early November, 1956. The plan for the attack, codenamed ‘Operation Musketeer’, had been drawn up between the three Prime Ministers in a meeting at Sèvres near Paris: Guy Mollet of France, Anthony Eden of Britain and David Ben-Gurion of Israel. It is interesting to note that Eden had been Neville Chamberlain’s Foreign Secretary during appeasement in the 1930s and he was determined that such an approach should not be followed again. The plan set out was that Israel should attack Egypt on grounds that it was concerned about Egyptian forces being armed with Soviet weapons. In response to this, Britain and France would issue an ultimatum that both sides should stop fighting, believing that Egypt would then launch a counter-attack against Israel. This would give them the excuse of sending in troops to aid Israel as Egypt had ignored the warning. As it happened, Nasser started to withdraw Egypt’s forces in response to the ultimatum but Britain and France invaded anyway. The Egyptian air force was destroyed and Anglo-French forces made quick progress but could not reach the Suez Canal before the UN called for a ceasefire and an end to all actions. In a military sense, victory and control of the canal would have been easily achieved. But politically, the ‘Suez Crisis’ was a disaster for both Britain and France: Eisenhower in the USA was furious, their standing with the UN and in the Middle East was seriously weakened and, in the British Empire in particular, the colonies were concerned and disturbed by what they had seen. A UN Peacekeeping mission was sent into control the canal-zone and neither Britain nor France ever regained its influence. In Parliament, Eden basically lied and said that there was absolutely no planning or pre-meditation in what had happened, a direct denial of the meeting at Sèvres. That statement in the House of Commons was made in December, 1956, and was to be his last as Prime Minister. Eden resigned in January, 1957, largely as a result of stress and ill-health linked with those events. The ‘Suez Crisis’ was especially significant because it happened at exactly the same time as the ‘Hungarian Revolution’ of October-November, 1956, took place, an event which painted the USSR as a power-hungry state, imposing its will on other countries and using unacceptable violence to achieve its goals – exactly the same as the two western powers did. Suez made it impossible for the West to level criticism against the USSR for its intervention in Hungary. It was a disaster of both planning and public relations, indicating that neither Britain nor France was any longer able to act alone militarily and also raised great concerns in Washington about the relationship with its two main Cold War allies. It weakened the West’s ‘moral status’ in the world and caused many smaller countries to seek independence from the old Empires. Overall, the ‘Suez Crisis’ was a disaster and a real low-point in international affairs for both Britain and France. It also threw Israel into some chaos which would entrench positions against the Arab states which surrounded it. The USA would eventually step in to ensure Israeli security in the aftermath of the ‘Suez Crisis’, an action which has repercussions to this day. The ‘Suez Crisis’ was an easy military success but a disaster for both the British and French Governments, an example of the danger inherent in being driven by a memory of greatness and ignoring reality, no matter how unpleasant that might be. Like a punch-drunk ex-champion in boxing, Eden (and Mollet, of course) went into the ring once too often and suffered a humiliating defeat. The Establishment was shaken to its core by these events as a once mighty group, which prized its ability to discern, to manage and to act, as well as to win, had failed to read the rather obvious ‘signs of the times’. Suez was a stab to the heart that caused even the stiffest of upper lips to quiver. Robert Capa: Close-up from the front. Robert Capa was a Hungarian photographer. He was born in 1913 and his real name was Endre (or Andrei) Friedmann. ‘Fine’, you say, ‘so why should I know about a foreign bloke who took some pictures and changed his name?’ Well, many of the photos he took were both interesting and important, to the point that they have become iconic. He covered some of the most important events of his time and he also happened to live a rather glamorous life, mixing with more than one or two stars in the process. And he died young while working in Vietnam during the first ‘Indochina War’, a conflict which would lead on to the Vietnam War. Robert Capa actually covered five major wars, including the Spanish Civil War (1936-39), World War II and the first Arab-Israeli War of 1948. He revolutionised photo-journalism by being one of the first to work in the heat of the action, with the soldiers, at the front-line, surrounded by the gun-fire and seeing the fighting at first hand. He became a legend for his work and left a legacy which is well worth investigating if you have any interest in war, journalism, art or photography – or about looking cool under pressure. First of all, a couple of examples of Capa’s work that show him alongside soldiers in Normandy following D-Day in 1944. (Author: Robert Capa; Source: here) This might not look like a great photo but Capa was seriously unlucky. Nearly all of the photos that he took on D-Day, the Allied invasion of France on 6th June, 1944, were damaged and this is one of the few that survived. The Capa hallmark is clear though – he was there so that he could get the photo in the first place. Some famous examples of Capa’s photography can be found here. Robert Capa really is worth knowing a little bit about as he was so much more than just a photographer. In an age when we are so used to documentaries, film and photographs of war, we can easily ignore the work of those who first went to the frontline. To be a cameraman or photographer at the front today must be extraordinary, even with the digital technology, zoom lenses, flak jackets and helmets that are available; to have been doing this in the thirties, forties and fifties required a very unusual personality with extraordinary skills and attitude. The young Endre Friedmann’s nickname was ‘capa’, which means ‘shark’ in Hungarian. He began his career in photography after dropping out of college in Berlin. Still called Endre Friedmann, he had moved to the German capital in 1931 in an effort to escape the tensions of Budapest, where the right-wing dictatorship under Admiral Horthy was causing increasing problems for the likes of him, as he was both Jewish and left-wing. He had been recommended to a famous photographer of the time, called Otto Umbehrs, by a fellow Hungarian who was also a famous photographer, Eva Besnyö. His first break came when he was sent to the Copenhagen Stadium in Berlin to photograph a well-known figure talking about politics; as luck would have it, Friedmann’s first professional photos were of the famous Communist, Leon Trotsky, then in exile and on the run from Joseph Stalin. Later on, Capa would enhance the story of that day a little, telling how he was sent at the last minute, without a ticket and how he had to sneak in to the hall with a group of workmen. The talk was actually advertised well in advance and Capa had a ticket but, even so, it was still a remarkable ‘first job’ by anyone’s standards. Luck can certainly play a part in many lives but you still need the skill to take advantage of the opportunities when they come your way and Friedmann showed early signs of his potential as he got really close to Trotsky and captured some of the passion and energy of the speech. Leon Trotsky addressing the crowd at the Copenhagen Stadium, Berlin, in November 1932, the 19 year-old Endre Friedmann’s first assignment. But right wing politics was on the rise in Central Europe and Friedmann left Berlin soon after Hitler came to power in January 1933 and he soon arrived in Paris, one of many refugees from Nazism. He soon met and started going out with a German woman called Gerda Pohorylle (1910-1937), another photographer. In 1934, in an attempt to set up a business and make more money, Friedmann and Pohorylle created ‘Robert Capa’, claiming that they were agents for this ‘famous American’ photographer. They hoped to be able to charge the French newspapers double the normal fees for Capa’s work as he was so important; in reality they took the photos themselves. At the same time, Pohorylle also changed her name to Gerda Taro, as it was easier to spell and pronounce and it is by this name that she became famous in her own right as a photographer. The ‘Capa’ plan worked well for a while and they got numerous images into the French newspapers, some of which reflected the growing political tensions of the time. Friedmann photographed the workers’ strikes in Paris and went to the League of Nations in Geneva when the Abyssinian Emperor, Haile Salassie, begged for help in dealing with the growing threat posed by Italy’s fascist dictator, Mussolini. The double-identity of Friedmann/Capa was soon spotted but the quality of his work was acknowledged and he was given a job with an agency. As a result Friedmann became Robert Capa from that time on, a change which reflected the new dramas in his life. In July 1936, news came through of the growing tensions in Spain. 1936 was a year of huge importance and drama, marking a step-change on the road to World War II and Capa would come to major prominence in this context by covering the Spanish Civil War (1936-39). Like many people of that generation, he saw this conflict as a new type of struggle, an ideological battle of ideals and values, a fight to the death between ‘oppressive’ Fascism from the Right Wing and ‘liberating’ Left Wing ideals of Socialism and Communism. In Spain itself, the Fascists were the Nationalists, whose strength was rooted in the army, the landowners, the rich and the Catholic Church. Their leader was Colonel, later General, Francisco Franco. The Communists were the Republicans of the democratically elected Government, and were led by various people over the course of the war. It was a complex war which cannot be covered in detail here but certain important aspects can be mentioned. Firstly, the Spanish Civil War was seen as a testing ground for World War II. There was supposedly an embargo on any country supplying resources to either side or getting directly involved in the fighting but, while this was enforced regarding most supplies to the Republicans, little was done to prevent help getting to Franco’s forces. The main aid to the Fascists came from Mussolini in Italy and Hitler in Germany, their men, weapons and tactics giving a decisive advantage which swung the war towards the Nationalists. Hitler in particular was impressed by what his troops had achieved, gaining confidence in the Wehrmacht’s (the German Army’s) potential as well as noting the reluctance of Britain and France to act, an sign of their commitment to appeasement in the 1930s. The most famous action by German forces came with the horrendous destruction of the symbolically important town of Guernica in the Basque region. The terrible deaths inspired one of the most famous works of art of the century, ‘Guernica’ by Pablo Picasso. ‘Guernica’ by Pablo Picasso (1937). When asked by a German officer in Paris, in a disparaging tone, “Did you do this?”, Picasso replied, “No. You did.” The officer walked out. Secondly, Capa was not alone as a foreigner drawn to Spain at this time. Thousands of people from around the world, but especially from Europe, made the long trek to support either the Fascists or the Republicans in what was seen as a struggle not just for a country but for something more. The Spanish Civil War was a fight over the future direction of humanity, a struggle between traditional forces of monarchy, money and faith, against a rising tide seeking equality, justice and opportunity for all. The Right and the Left would clash horribly over the coming years, tearing apart families, destroying great cities, and spilling blood across the plains and mountains of Spain. Many famous people would be among those who volunteered to fight. Those from the Left Wing who joined the ‘International Brigades’ on the side of the Communists draw most attention today. Just a few of the famous foreigners associated with the ‘International Brigades’ included: Ernest Hemingway (author), George Orwell (author), Martha Gellhorn (journalist), Paul Robeson (actor), Willy Brandt (future leader of Germany), Laurie Lee (author), Jack Jones (British Trade Union leader), Simone Weil (philosopher and Christian mystic), Andre Marty (French political activist) and many others, from the USSR in particular. Hemingway’s ‘For Whom the Bell Tolls’ and Orwell’s ‘Homage to Catalonia’ are among the most famous books to come out of the Spanish Civil War. Robert Capa would be among this group. Thirdly, Robert Capa was an eloquent witness to this war which had such important echoes down the rest of the century. His images from this extraordinary struggle bore testament to the willingness of ordinary people to fight for what they believed in, inspiring many rebels and revolutionaries around the world. The repercussions of the Spanish Civil War went well beyond the day of the Fascist victory and the ceasefire of 1939. Spain did not get directly involved in World War II due to the damage and suffering of the Civil War. The failures of Britain and France to act, as the leaders of the League of Nations, weakened their credibility on the world stage and strengthened Hitler enormously. For the Nazis, Spain had provided a real testing ground for their technology and tactics which would later be used to such effect in the early years of World War II. The failure of the Communist forces, so heavily backed by Stalin and the USSR, bred a fear and anxiety in Moscow which would lead to the infamous Nazi-Soviet Pact of August 1939. Generalissimo Franco remained in power as the much loved and totally hated ‘Benign Dictator’ until his death in 1975. He left a divided country where hatred and tension is only now being openly addressed and overcome. Robert Capa spent much of the three years of the civil war in Spain itself, working as part of the Republican cause against Franco. Much of his material was lost and it was feared it had been destroyed but thousands of negatives eventually turned up in Mexico City in the 1990s. The collection is today known as ‘The Mexican Suitcase’ and much of the material can be viewed online. His work included one of the most famous and controversial photos of the century, ‘The Falling Soldier’. Debate as to its authenticity continues to this day, many seeing it as a remarkable image of the heroism and futility of war, while others believe it was simply a set-up. The sense of it being ‘staged’ is strong but what cannot be denied is the impact so many of Capa’s images had on people around the world. ‘The Falling Soldier’, allegedly Federico Borrell, 5th September 1936. Probably the most famous and controversial photo ever taken by Robert Capa. His willingness to travel anywhere within the Republican zones, from Andalucía and Murcia in the south, to Madrid and Toledo in the centre, and to Barcelona and Bilbao in the north, meant he was always able to get closer to the action than just about anyone else. And he was always willing to go that little bit further than anyone else, capturing emotions that were then released into the lives of millions of readers around the world. His pictures from Bilbao just a few days after the notorious bombing of nearby Guernica by Hitler’s Condor Legion in April 1937 were especially powerful examples of the true cost of war. Robert Capa’s legend was born in Spain. His courage, humour and skill were extraordinary, winning him many friends and admirers. His love of the high life was fostered, too, and he socialised with Ernest Hemingway amongst others. But the war brought tragedy into Capa’s own life, though, as he suffered the loss of his partner, Gerda Taro, herself a remarkable photographer, who was crushed to death by a tank during the Battle of Brunete near Madrid in late July 1937. Capa’s reputation as a great photographer was established during the Spanish Civil War. It brought him fame and celebrity status but these did nothing to stop his work, and his photography retained its power to tell stories that mattered and to challenge ideas throughout his life. In January, 1938, a year or so before the end of the Spanish Civil War, but with Franco’s forces clearly in the ascendancy, Capa left for Asia to cover the troubles between China and Japan. A project had arisen to make a film documenting China’s resistance to Japanese expansion in the region. The main fighting for the Chinese was being led by the Communist forces of Mao Zedong (Mao Tse-Tung), but the project was funded and controlled by the Nationalist leader Chiang Kai-Shek, or more specifically, by his domineering and manipulative wife, ‘Madame Chiang’. Capa travelled to China from France in the company of two well-known authors, W.H. Auden and Christopher Isherwood. Auden was an American poet while Isherwood is famous today, amongst other things, for his memoirs of life in Berlin which were turned into the famous film ‘Cabaret’. The project, called ‘The 400 million’, turned out to be a frustrating disaster but Capa once again captured many remarkable photographs reflecting the horrors of war. By September 1938, Capa was on his way back to Europe, arriving to chronicle the last few months before the Spanish Republican forces were finally defeated by Franco in what many saw as the ‘death of European democracy’. A résumé of his life from early 1939 hints at more riches waiting to be discovered for those who study his brief life. He left Europe for the USA in 1939 and there he went through a sham marriage so as to stay in the country, as he was technically an ‘illegal immigrant’. He worked briefly for Life magazine in Mexico and the US before travelling to Britain. In 1943, Capa travelled to North Africa with Allied troops to photograph the invasion and, even more dramatically, he accompanied US troops who landed at Omaha Beach on D-Day, 6th June 1944. Most of his photos from that day were destroyed although a number of slightly out of focus images have survived. Capa loved gambling, champagne and the high life in general. He had too many affairs to mention, but three women who fell to his legendary vulnerability and charm were: the actress Ingrid Bergman, who starred alongside Humphrey Bogart in the classic film ‘Casablanca’; Hedy Lamarr, the star of the film, ‘Samson and Delilah’; and Vivien Leigh, wife of Laurence Olivier and the star of ‘Gone with the Wind’ with whom he had one of his many brief times of intimacy. Ingrid Bergman was a particularly significant relationship and she was just one of the many women who wanted to marry Capa but he refused to settle down, or to have anything to do with Hollywood, and so their relationship ended. In 1947, Capa joined forces with various well-known photographers to create a new photographic agency, ‘Magnum’. He was also involved with the ‘Photo League’, a left-wing agency that wanted to encourage socially aware photographers in their work; in 1947 it was ‘blacklisted’ as subversive and, in the era of the McCarthyite Witch Hunts, it closed down. Capa already knew Pablo Picasso and he photographed him once more during these years and even took images of Matisse at work. Also around this time, Capa joined John Steinbeck, the author of ‘Grapes of Wrath’ and ‘Of Mice and Men’, for a trip to the USSR. Capa’s freedom to photograph what he wanted was severely compromised and the results were disappointing, but he did get to visit Moscow, Stalingrad and Kiev, where he visited the Dynamo Stadium outside which, today, is found the memorial to FC Start (see Chapter 8). After a brief move into fashion photography linked with the work of Coco Chanel, which produced some interesting results but cost a fortune, mainly due to his huge expenses linked with drinking and gambling, Capa covered the Arab-Israeli War of 1948 and also some of the conflicts in French Indo-China in the early 1950s. And in 1952, he managed to join the list of illustrious figures charged with being a Communist sympathiser as part of the McCarthyite Witch Hunts. Few men can have been so intimately linked with the great people, places and events of the middle years of the Twentieth Century. In truth, Capa needed pressure and danger to focus his mind and enable him to produce his best work. He sought out that danger and produced his most famous and important work at the front line in war zones. He really was a ‘war’ photographer. Robert Capa died on 25th May, 1954, on the Red River delta in Vietnam. He had agreed to cover the conflict between the French and the Vietminh, led by Ho Chi Minh and General Giap, standing in for a colleague. 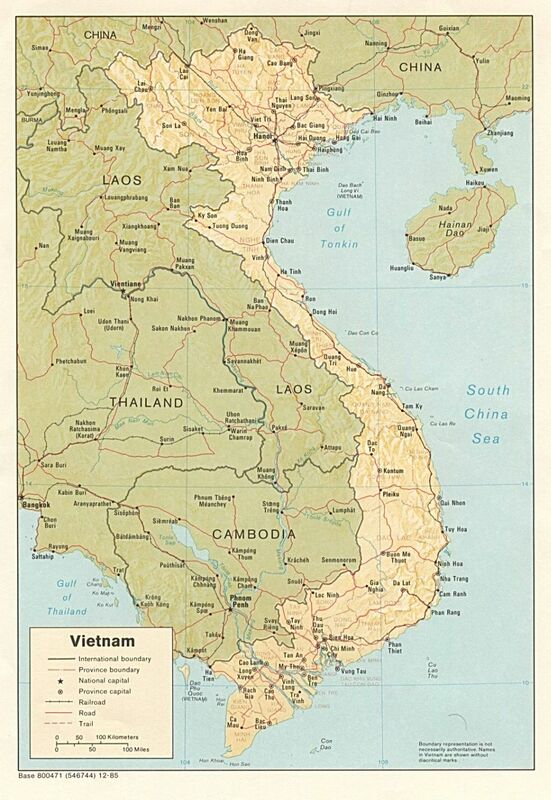 He had arrived as the French faced devastating defeat at Dien Bien Phu. Capa was the first photographer/journalist to die in the conflict which would develop into the Vietnam War. His death at the age of just 40 was a tragedy but one with a horrible logic and predictability about it; as Hemingway said, ‘The percentages caught up with him’. Capa had survived so many near misses over the years that it was clear that his luck would run out at some time. ‘Capa’, you may remember, means ‘shark’. In becoming Capa, Endre Friedmann created a dynamic and creative genius, a flawed character loved by almost all who met him. His short life contained far more adventure, affairs, gambling, stories and champagne than most people could ever dream of having. Hungarian émigré, friend of Hemingway and Picasso, lover of Ingrid Bergman and countless other women, terrible card player, compulsive gambler, heavy drinker, depressive, unreliable, witty, charming, a fixer and a friend. Remember Robert Capa, a man who made taking photos the basis for a truly extraordinary life. Robert Capa at work, a photo taken by Gerda Taro. Capa’s photographs can be viewed on-line but various studies of his work are available, such as: ‘This is war: Robert Capa at work’ by Richard Whelan and Christopher Phillips (Steidl, 2007) and ‘Robert Capa: the Definitive Collection’ by Phaidon Press Ltd, 2004). His work also appears in collections such as ‘Magnum Magnum’ by Brigitte Lardinois (Thames and Hudson Ltd, 2009). Book: ‘Blood and Champagne: The life of Robert Capa’ by Alex Kershaw (Da Capo Press, 2004). Book: ‘Out of the shadows: A life of Gerda Taro’ by Francois Maspero (Souvenir Press Ltd., 2008). Photos of Gerda Taro, the work of Capa’s long time partner can best be seen on-line.